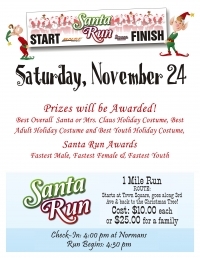 Chamber of Commerce hosts a 1 mile Santa Run on November 24th. Check in at Normans Ranchwear, race at 4:30. 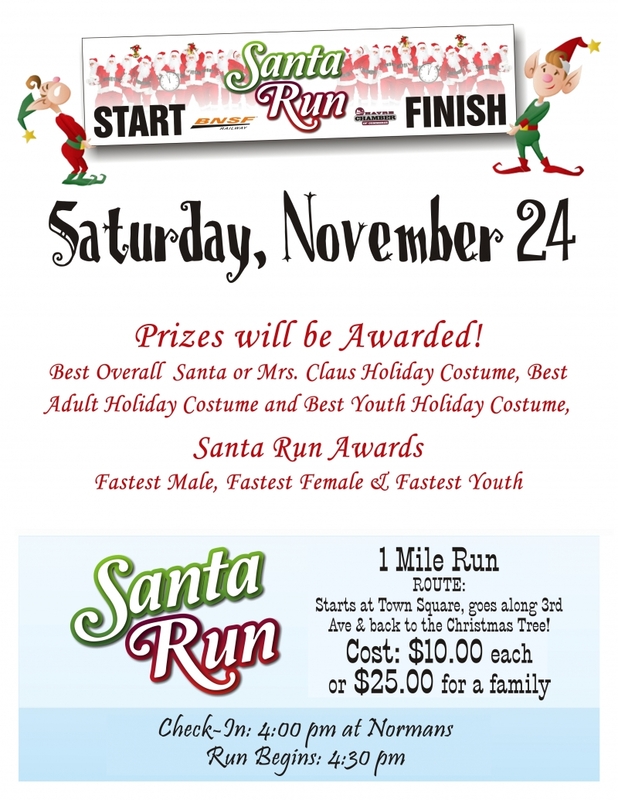 Prizes awarded for best costumes and fastest male, female and youth!